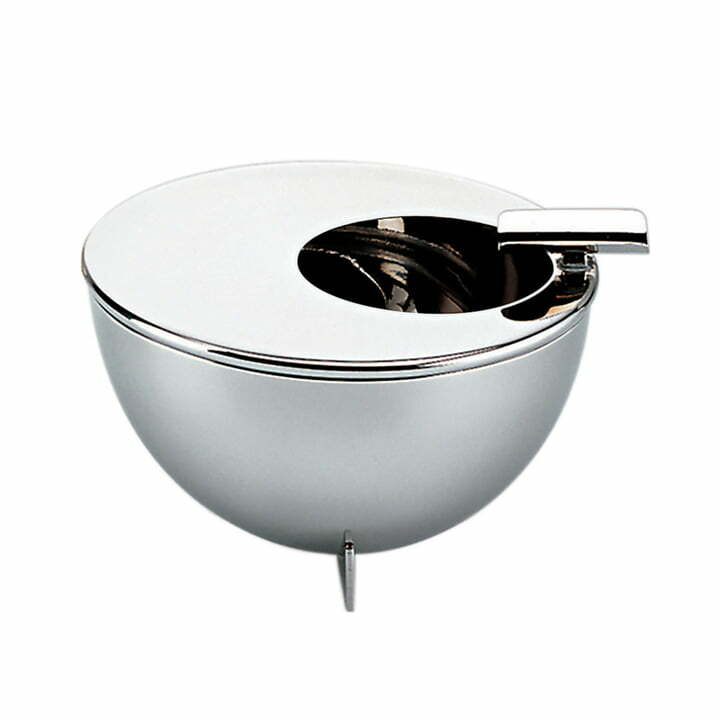 The Bauhaus ashtray by Alessi is made of 18/10 stainless steel with a shiny polished finish and was designed by Marianne Brandt. The designer is regarded as one of the most important representatives of the Bauhaus. The Bauhaus ashtray convinces with its round shape and filigree legs. Its round opening immediately catches the eye and the cigarette tray is a functional and playful detail. Since the mid-1980s, Alessi has reproduced a selection of objects designed by some of the most important Bauhaus protagonists under license from the Bauhaus Archive in Berlin. 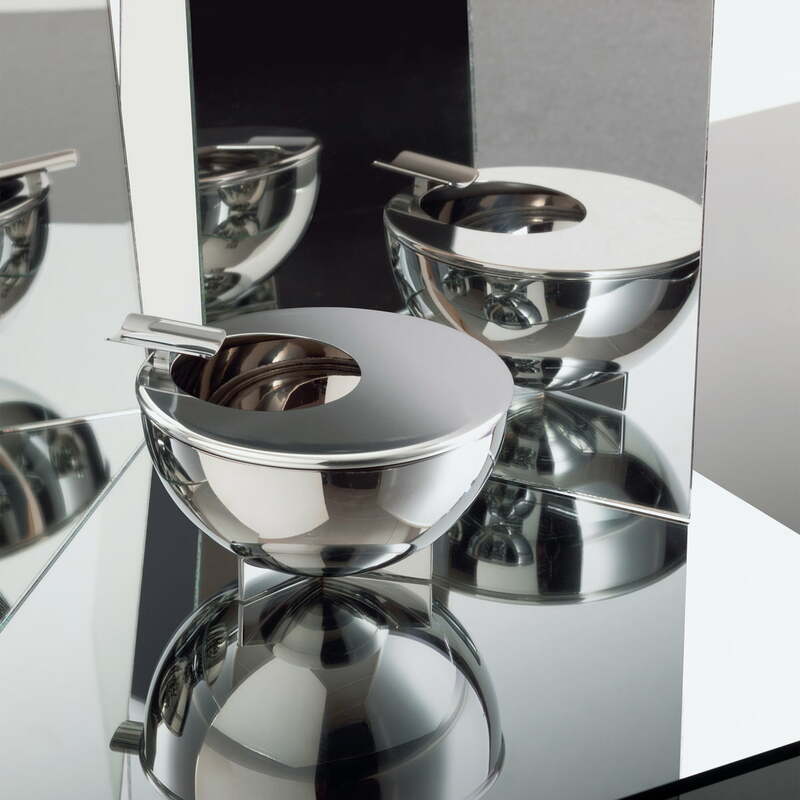 The Bauhaus ashtray by Alessi is made of 18/10 stainless steel with a shiny polished finish and was designed by Marianne Brandt. The designer is one of the most important representatives of the Bauhaus and her ashtray will be offered on the occasion of the 100th anniversary of the Bauhaus Foundation with a corresponding anniversary packaging.